A GORGEOUS BAG TO WEAR FOR ANY OCCASION! 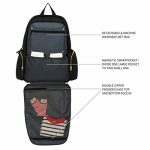 When we designed our stylish bag, we wanted you to feel beautiful and confident wearing our backpack for any outing- with or without your sweet baby in tow. You will feel like a star traveling to the store with your beautiful baby, or getting dressed up for a night on the town with a hot date. 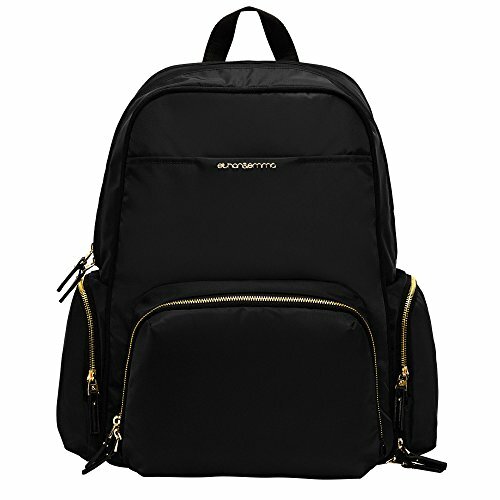 The stylish gold zippers and high-end fabric on our bag will complete the look of any outfit. 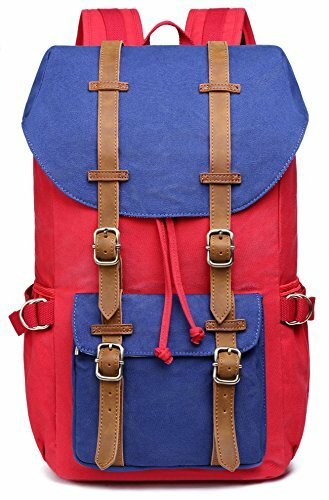 Enjoy wearing a bag as beautiful as you! THE ULTIMATE DIAPER BAG BACKPACK FOR ORGANIZATION QUEENS- There is so much “stuff” that moms have to carry around. Everything from sippy cups, diapers, toys, wipes, bottles, books, clothes, snacks, blankets, and more. With our Ethan & Emma premium designer bags, we thought of everything you’ll need. 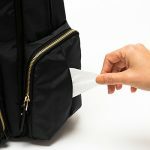 We created magnetic smart pockets to neatly organize and store all of your important essentials so that you’ll know exactly where everything is when you need it in a hurry. KEEP YOUR HANDS FREE… Let’s be honest, you juggle a lot as a mom… Holding your baby, shopping bags, and maybe even chasing a toddler at the same time. Now you can have one less thing to worry about holding. 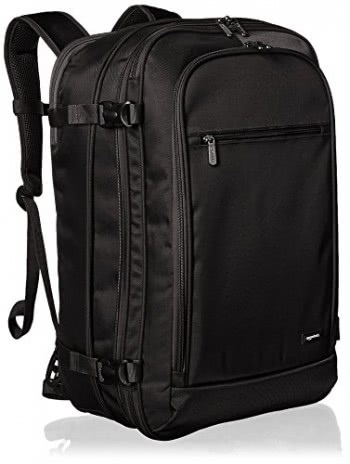 With our high-end Baby Diaper Bag Backpack, you can comfortably carry everything you need in one beautiful and durable bag. 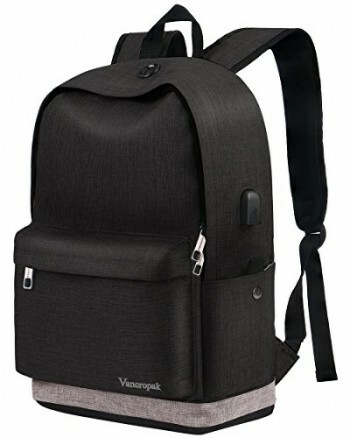 You will love all of the smart pockets and innovative features that keep up with your greatness. You’ll never want to go back to holding a purse! Bringing Balance, Beauty, & Style to your Diaper Bag We understand the enormous sacrifices moms make each day for their children. It is truly amazing to witness the love and devotion women have for others. 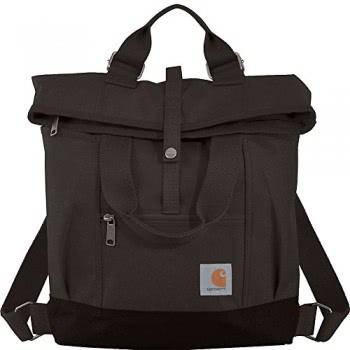 We also know that sometimes women have to sacrifice their style and personal needs when carting a diaper bag around. We went on a mission to change that. A GORGEOUS BAG TO WEAR FOR ANY OCCASION! 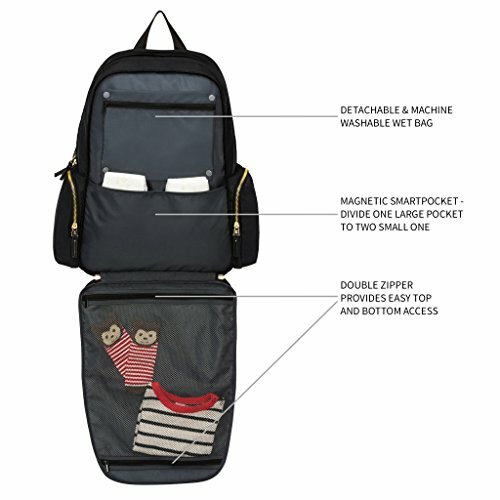 When we designed our stylish bag, we wanted you to feel beautiful and confident wearing our Ethan & Emma Backpack for any outing- with or without your sweet baby in tow. You will feel like a star traveling to the store with your beautiful baby, or getting dressed up for a night on the town with a hot date. The stylish gold zippers and high-end fabric on our bag will complete the look of any outfit. Enjoy wearing a bag as beautiful as you! A FAVORITE BABY SHOWER GIFT FOR NEW MOMS! If you are looking for a thoughtful and meaningful baby shower gift, then you picked a winner with our Ethan & Emma “Balance Series” baby diaper bag backpack! 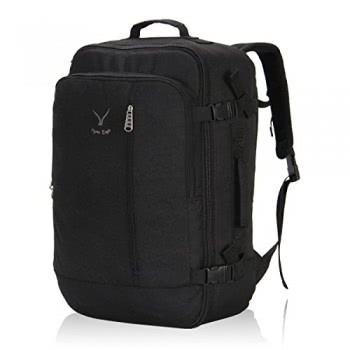 The elegant design, comfortable straps, and premium functionality make it an ideal gift! The nylon material is stylish, and extremely easy to clean. As soon as your friends see our beautiful designer bag, they will be swooning! 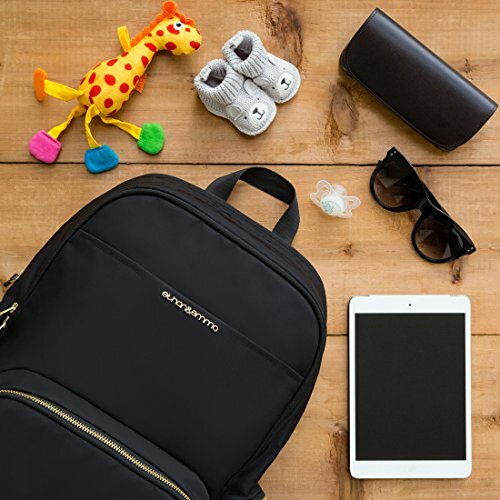 ENJOY OUR “SUPERIOR DIAPER BAG” GUARANTEE- We believe in creating things the right way- with premium quality, innovative features, and a lot of love. 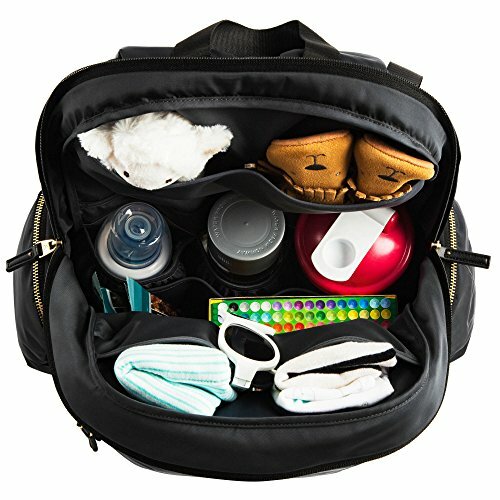 We thoughtfully designed our unique and patent-pending diaper bag backpack with your needs in mind. And if anything ever happens to your bag, you can enjoy our 90 days replacement guarantee. 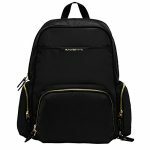 You can click the yellow “Add to Cart” button today with complete confidence in our winning diaper bag!